Pam could not be more of an advocate for her design students. She works tirelessly with her faculty and professional partners to create meaningful experiences in and out of the classroom. 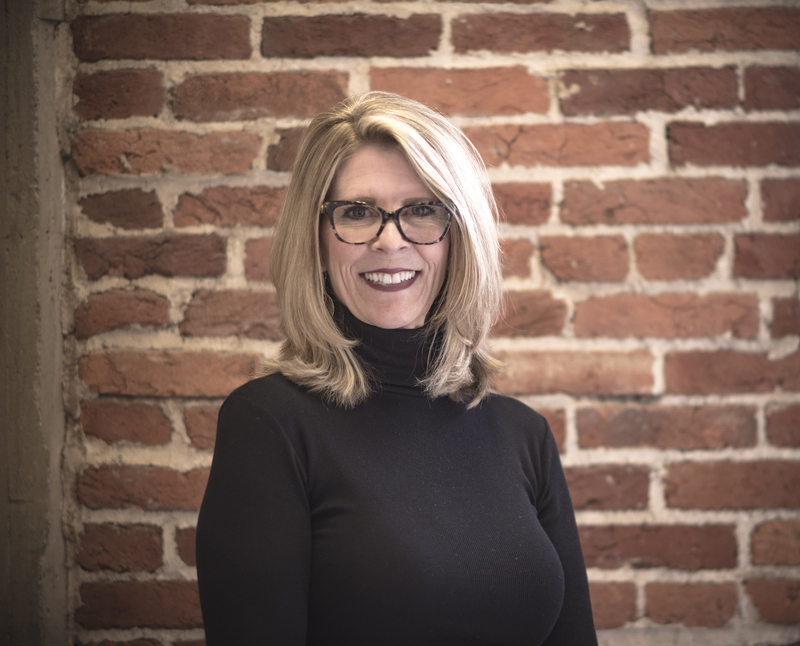 We sat down to do a Q&A with Pam so you could get to know her and the Graphic Design department a bit better. Tell us a little bit about the graphic design department? PB: All of the faculty in our department either have their own business or freelance for agencies and studios across the country. 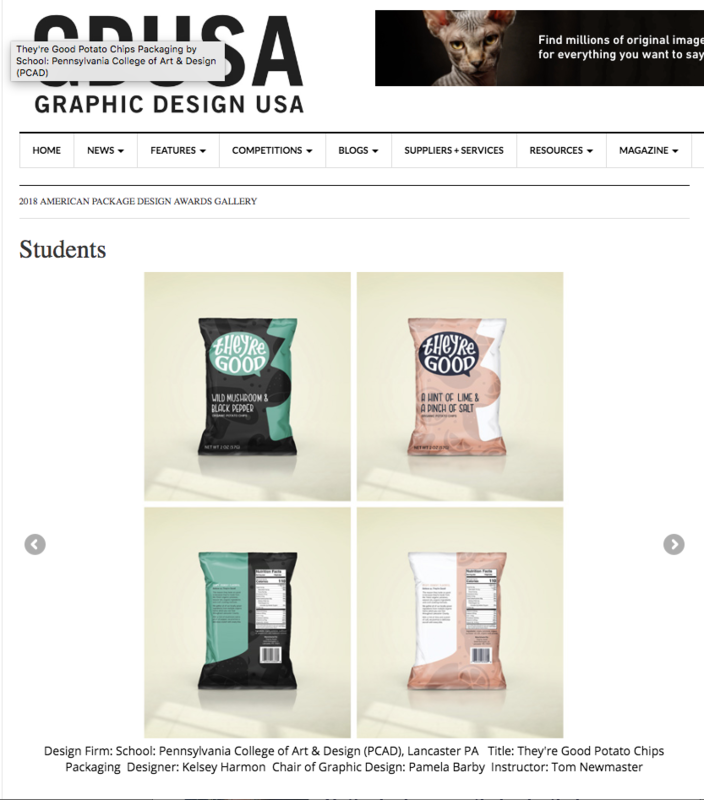 The projects and work they develop and that influence is very much a part of all our classes in print, packaging, interactive web, motion media, etc. Trips to design studios and museums are frequent in our department and expand the classroom experience. One of the most impactful is our annual “Pub Crawl” in New York. This event, hosted by the Society of Publication Designers, bring students into the offices and studios of the largest publishing houses in the nation. Connecting with the creative directors, photo editors, and designers of publications like The New York Times, Fast Co., Sports Illustrated, Esquire and Pentagram studio, is an experience like no other. As chair of the department for the past 10 years I've had the honor of hosting many very successful and influential designers at PCA&D to engage in artist talks and critiques with students. Designers such as Seymour Chwast, Gail Anderson, House Industries, One Trick Pony, Gerard Huerta, Zipeng Zhu, Mary Kate McDevitt, and Isometric are just a handful. 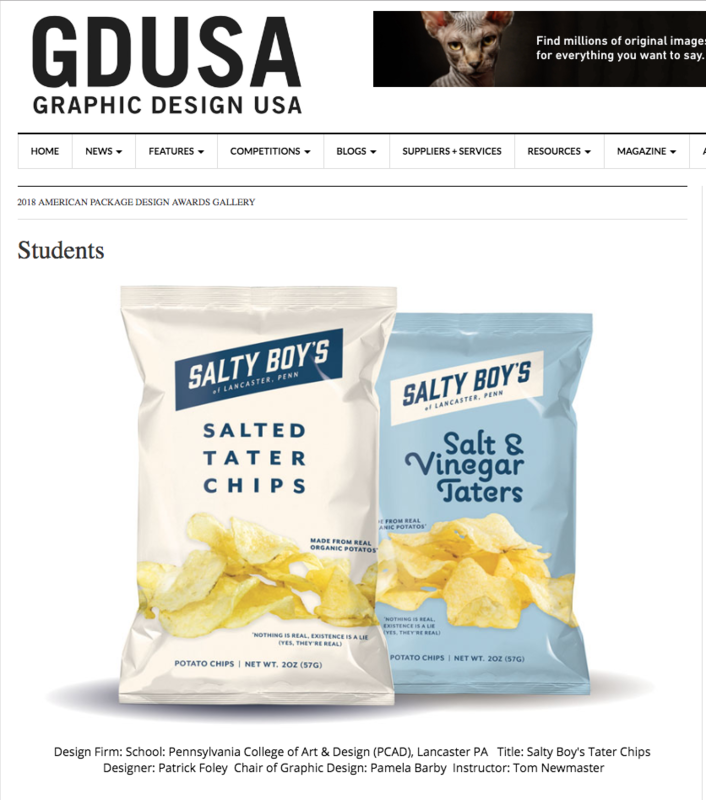 Our collaboration with the Central Pennsylvania AIGA has also brought in names like Aaron Draplin and Timothy Goodman. These designers spend time with our students running workshops, reviewing portfolios, and sharing tales that assure our students in that they too have been in their shoes and that they are making all the right moves at PCA&D to launch their careers in design. 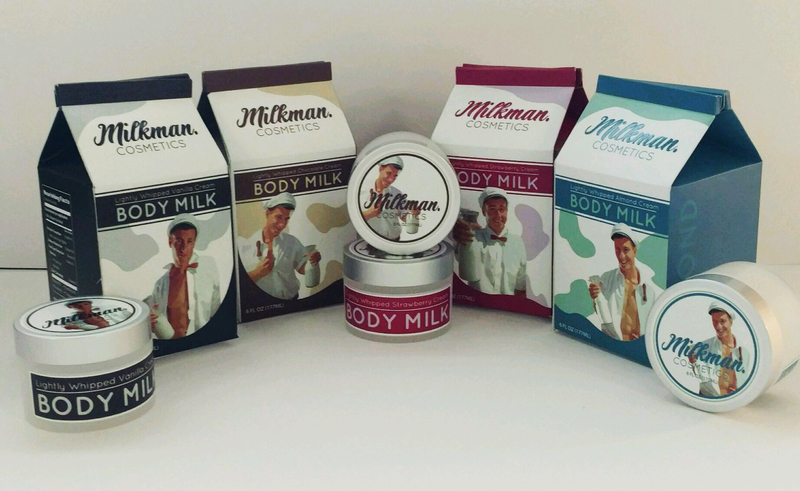 Our students have been recognized in several competitions over the years with the most notable coming from our Packaging Design class taught by graphic design faculty member, Tom Newmaster, owner of Force Packaging. 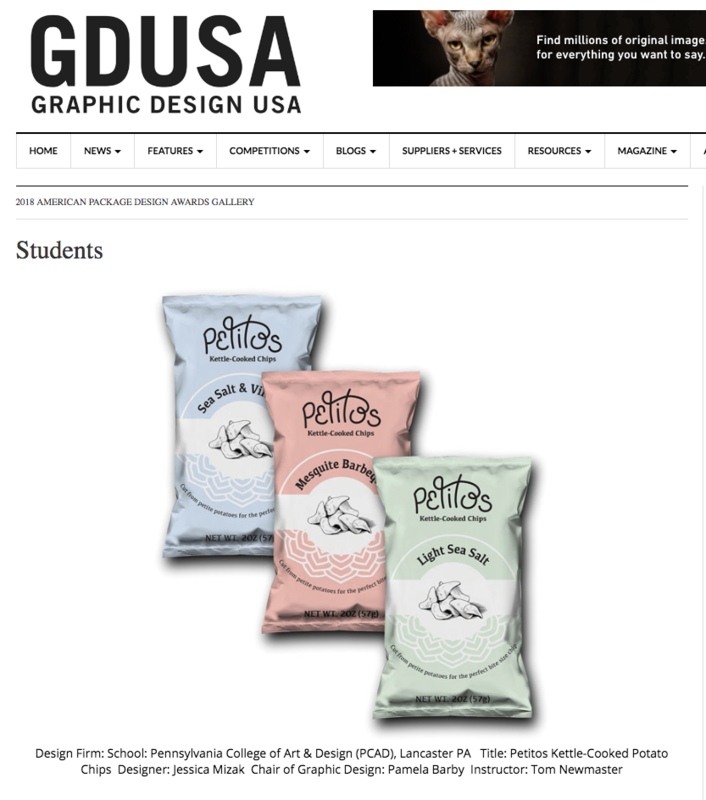 Graphic Design USA (GDUSA) has also recognized our package design students every year for the past five years. Several of those students have also been honored as “Top Students to Watch” in GDUSA. I have also had the privilege to appear in the June 2018 publication as an “Educator to Watch.” As a college, these awards have placed us in GDUSA’s top colleges of art and design for the past four years. What are some characteristics of students who are most successful in your department? PB: Students that succeed in our department are very responsive and open to the creative direction that is given to them during critique by their peers and faculty. These students are leaders and welcome the challenges that arise with each project they undertake, whether it be in the classroom, a student organization, freelance opportunity, or a non-curricular event. They are self-driven, motivated and very resourceful. PB: The opportunities available to our students are very broad. They have the talent and a wide-range of skill-sets preparing them to continue in a creative career in art and design. They may be working at an in-house art department of a large company or at a local agency or studio creating design work for a variety of clients. Our graduates are working across the country as UX/UI designers, web designers, motion graphic creatives, and others are starting their own businesses. They are selling products and services online as well as lecturing at colleges and organizations on topics and art that they are passionate about. The list goes on! Do you stay in touch with your students after graduation? PB: I stay in touch with as many of our graduates that I can. Social media has made it much easier over the past 10 years. It is hard to talk about them all! Many are making a difference in their communities and adding to the creative powers surrounding them. I'll give one example. One of our graduates, Adam DelMarcelle ‘10, has turned tragedy into a personal graphic commentary and travels across the country lecturing and running workshops on the opioid epidemic. Several of his prints now hang in the National Library of Congress. We are privileged to have him back teaching and lecturing to our current students. PB: My fondest memories that I will continue to hold closest to my heart are our annual Designathon events. As we approach our 11th year, I can’t think of a better way for our students to give back to the community than the with the power of design. 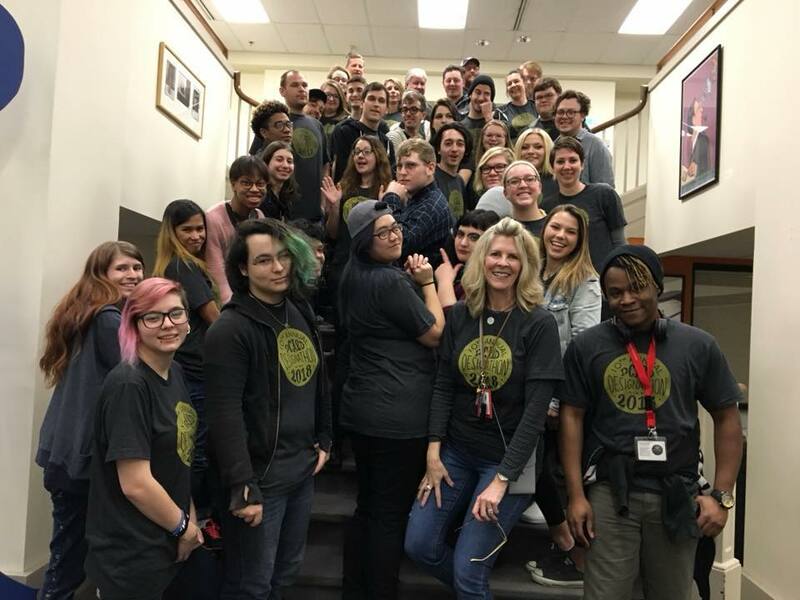 We all work together - students, faculty, alumni and even our Dean of Students, in a 24-hour period to design and produce free work for local nonprofits. It is so rewarding to see the end results and know that these collaborative efforts make an impact and difference for these organizations. I am amazed every year...it never gets old. If there was one thing you wanted students considering PCA&D and your department to know about our college, what would it be? PB: We care about YOU as an individual and want to do all we can to help you to discover your strengths and passion.